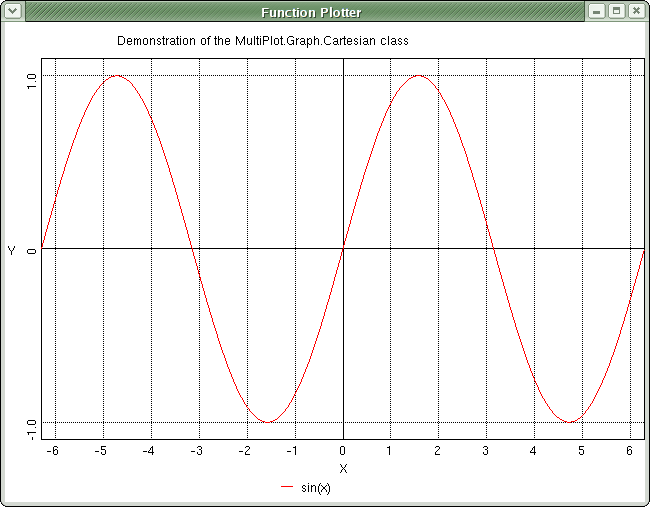 PyPlotter is an open source 2D graph plotting package for Python and Jython. It was primarily written for use in the CoopSim package. If you do not rely on Jython support or any other of PyPlotter's special featurs (see key features list below), you will probably be better off with one of the more common Python plotting packages like Matplotlib or ReportLab, both of which offer much richer plotting support than PyPlotter. Latest Version is PyPlotter 0.9.2 beta (September 6th, 2015). See the changes log for details. Device Independence through a slim and easy to implement driver interface. Currently, PyPlotter supports wxWidgets, PyGTK, PyQt, tkinter, Java SWING/AWT and postscript output. Easy to adjust to other GUIs (such as Qt or Windows GDI) or other output devices (postscript or gif file renderers for example, which are presently supported only indirectly through wxWidgets). It should not take an experienced programmer more than half a day to write a new interface driver for PyPlotter. Cartesian graphs with automatic range adjustment and automatic caption. Simplex Diagrams, such as are used in evolutionary game theory. The documentation of CoopSim is available online. You can browse the PyPlotter online documentation here. 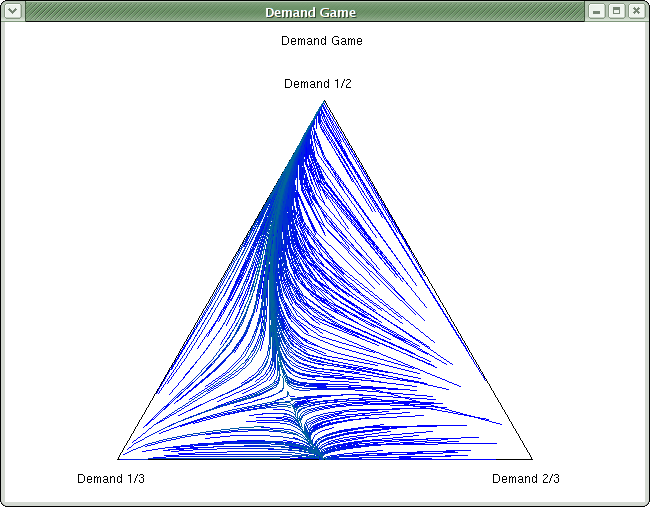 a package for calculating population dynamics. This is in a very early state, but you may want to download it, to see some further examples of how to use PyPlotter. A computer simulation of the evolution of cooperation. PyPlotter has been used for this application. Download CoopSim from the CoopSim Homepage. PyPlotter has been programmed by Eckhart Arnold.